Last updated 27 November 2018 . By Faith Strickland. From the Radio 1-inspired hymns of drunk City workers through to the gospel of an overly tired HR manager, Friday night is the true Sabbath in London. 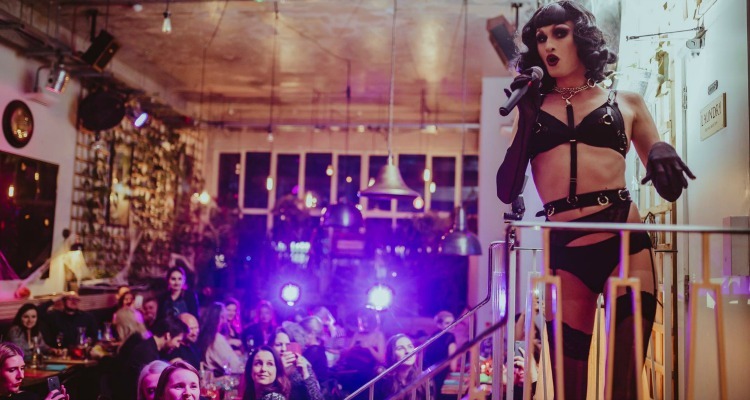 We worship that #Fridayfeeling but choosing between dinner, getting smashed at 5pm, or late-night clubbing is a constant balancing act - that is until Wringer & Mangle showed us the light with their new Dine & Drag event. As one of East London’s sexiest restaurants, Wringer & Mangle is already pretty high up on places to be seen on a Friday night. A former laundry building, the cavernous space is filled with three rows of rustic tables and huge floor-to-ceiling windows light a raised stage-like area. The place is rammed on our visit, with every seat occupied by birthday parties and Hackney’s most stylish. 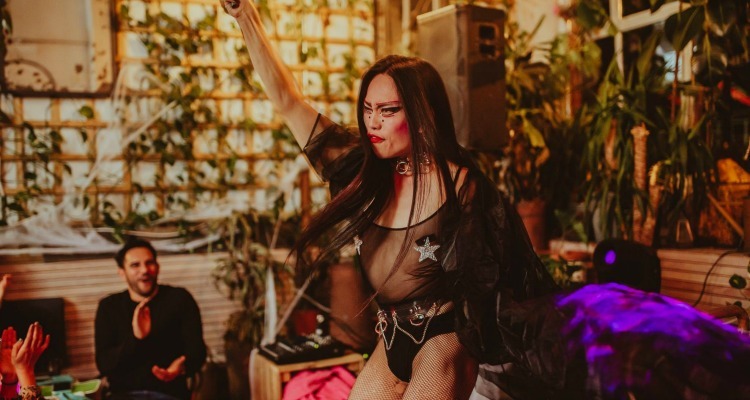 Lip sync for your life - it's one hell of a show over at Wringer and Mangle. It’s already noisy and frenetic, and just as I’m slurping down one of the very robust negronis and shouting into my companion’s ear, the lights dim and there’s a commotion near the doors, which fling open as three queens sashay in. With legs for days, heels higher than the Eiffel Tower and hair pouffier than a Pomeranian’s, the ladies are here for one thing only: to slay. Led by Maxi More, the night swings from jokes and jostling with the crowd to a live piano performance from Rudi Douglas, who hammers out hits as glasses are filled with bubbles over the bottomless hour. And when I say filled, I mean no sip is unaccounted for with the eagle-eyed staff topping you up moments after you've put your glass down. Food is divided between a two-course set menu of either vegan or meat-eating which - just as the bubbles and singing start to bite - sobers you up enough to have a coherent conversation with your neighbour. And what alcohol-soaking, drunk-eye reducing food it is; slow-cooked Creedy Carver chicken alongside chunks of potato covered in very pungent and very delicious truffle, gobbled down unceremoniously as a queen in black lingerie strides through the crowd. Bottomless prosecco, two delicious courses, and a killer show - what more does your Friday night need? Whatever your style of worshipping the end of the week, Dine & Drag has got a hymn sheet we can all sing from. From the uber cool warehouse setting through to an amazing live show, A LOT of bubbles, and really delicious, British plates, it does it all and it does it well. Plus at £45 a head, it's also pretty affordable for a night that includes dinner, booze and entertainment - if you weren't already looking forward to the weekend, then this will make sure you're FriYAYing well into next week.